These Perma-Loc Tubing Coupling Valves are used to connect two sections of the same size polyethylene tubing where on/off functionality is needed. 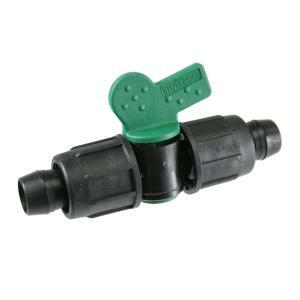 A quarter turn ball valve is located in the middle of the coupling for easy on/off function. A great use for these valves are in raised beds where you may want manual on/off control in each bed or manually operated zones.